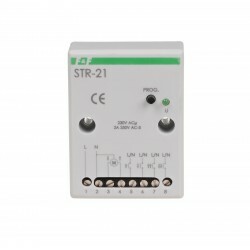 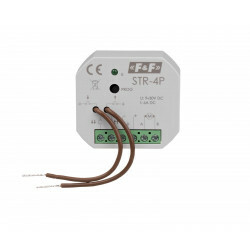 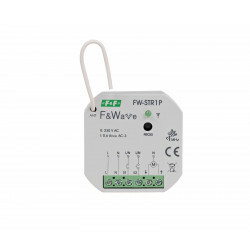 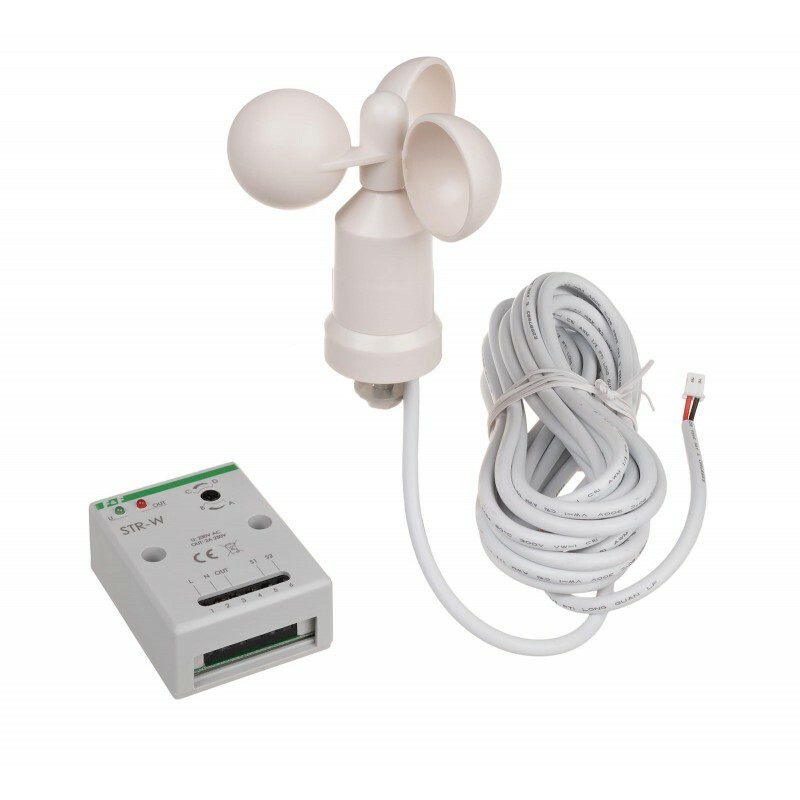 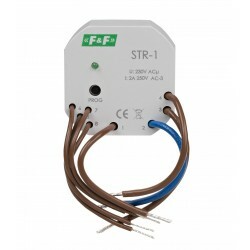 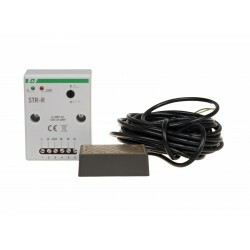 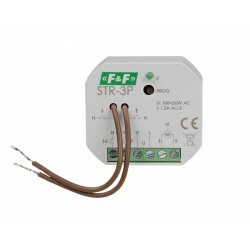 STR-W controller along with the external wind sensor is designed for monitoring of current wind speed. 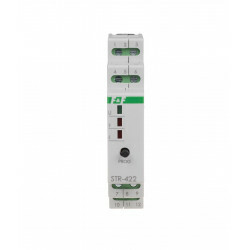 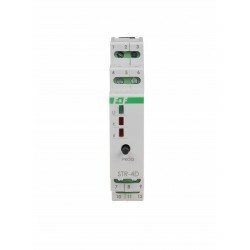 If the wind speed exceeds a given threshold value, the internal relay will switch on. 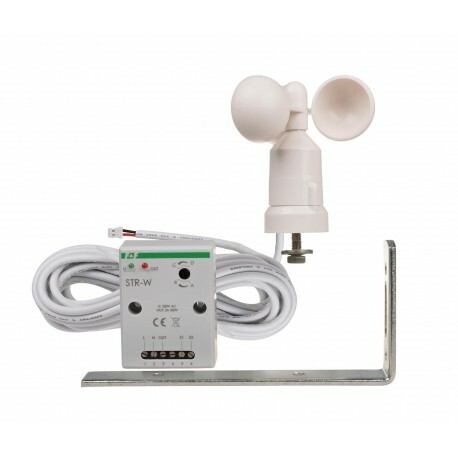 Combined with STR-3 or STR-4 roller blind controllers it allows to build a system that closes window roller blinds or retracts awnings if the wind is too strong. 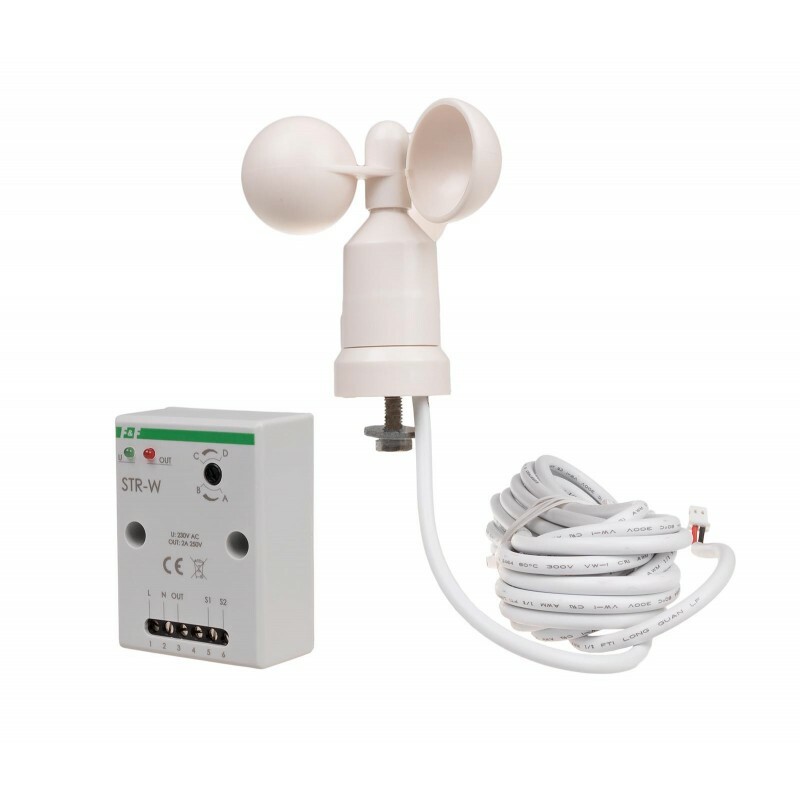 If the wind speed exceeds a given threshold value, the internal contact relay closes and remains closed for the entire duration of wind gusts. 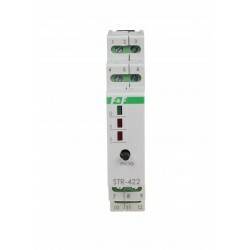 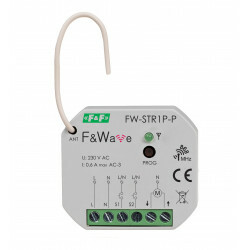 Combined with STR-3 and STR-4 roller blind controllers, the continuous mode ensures closing of roller blinds at a time of strong wind and locks them in closed position until the wind ceases. 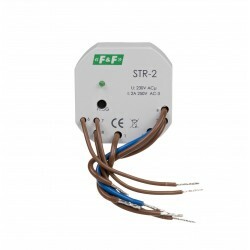 If the wind speed exceeds a given threshold value, the internal contact relay closes for approx. 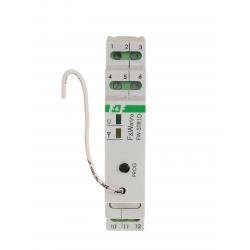 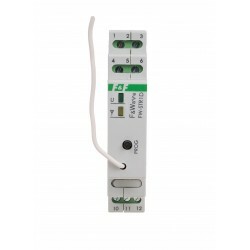 1.5 second, passing to the roller blind controllers a single command of closing. 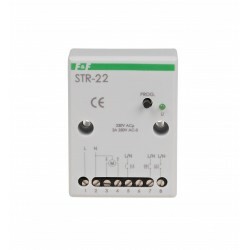 Combined with STR-3 and STR-4 roller blind controllers, the pulse mode ensures closing of roller blinds at the time of strong wind, but then the user has the ability to raise the roller blinds at any time. The range of wind speed alert is regulated smoothly from 20 km/h (position D) to 70 km/h (position C).